This is where you'll see the latest additions to Let's Make Greeting Cards: latest card ideas, latest tutorials and even the latest freebies and offers! I used a branch punch, stickels for colored lights and iridescence thread for streamers to assemble this homemade card. 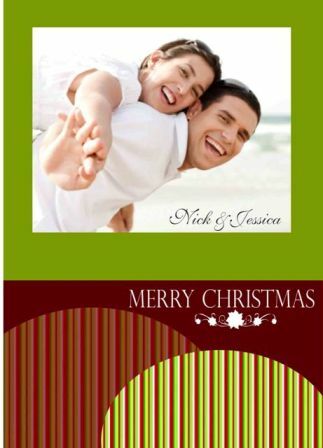 Download our cheap holiday photo cards and print them as many times as you want in the comforts of your home! Really affordable at only $0.99 each! Continue reading "Cheap Holiday Photo Cards"
Continue reading "Printable Photo Christmas Card"
Continue reading "Halloween Greeting Cards. Make One Today!" FREE Halloween card ideas for a more spooktacular and fun Halloween! Create homemade Halloween cards with our free tutorials and card ideas to make trick or treating more special! Continue reading "Halloween Card Ideas"
FREE ideas and tutorials for homemade Halloween cards perfect to go with the trick-or-treatin' fun for Halloween! Continue reading "Homemade Halloween Cards"
Continue reading "Floral Love Card"
Continue reading "colorful birthday wishes"
Get crafty this season and learn how to make your own Christmas cards! 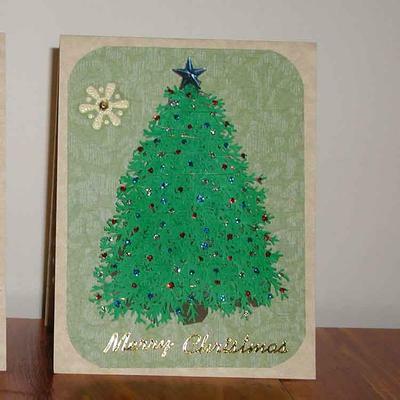 Handmade Christmas cards are sure to make your loved ones' holidays more special! Continue reading "Make Your Own Christmas Cards"
Make a Christmas Card! Free Fun and Easy Tutorial! Make a Christmas card and make the holidays more special with a personalized greeting! Learn how to make Christmas cards today! Continue reading "Make a Christmas Card! Free Fun and Easy Tutorial!" Learn how to make your own Christmas card and make the holidays even more special for your loved ones! Make Christmas cards today! Continue reading "Make Your Own Christmas Card"
FREE ideas for handmade Halloween cards to make your trick or treating spookier! Learn how to make a Halloween greeting card today! Continue reading "Handmade Halloween Cards"
Continue reading "Homemade Wedding Anniversary Cards"
Continue reading "Making Birthday Cards the Fun and Easy Way"
Make your own birthday card and make someone's special day even more memorable! FREE card ideas, tutorials and tips for your to start making greeting cards! Continue reading "Make Your Own Birthday Card"